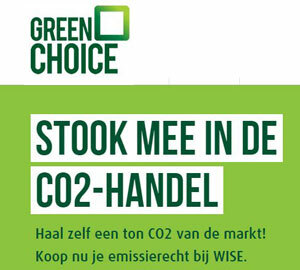 The Carbonkiller campaign is supported by Dutch green energy provider Greenchoice. Through a starting donation Greenchoice has made it possible for WISE to sell carbon credits to private persons, businesses and other organisations without having to charge a fee. This way Greenchoice jumpstarts Carbonkiller. According to a study into the sustainability of Dutch energy suppliers Greenchoice has consistently been one of the greenest energy suppliers of The Netherlands.